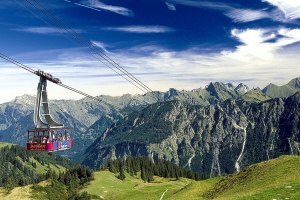 Between May and October (depending on the opening hours of the mountain railways) mountain railway tickets can be added for free for all gondolas in Oberstdorf and the nearby Kleinwalsertal (Little Walser Valley). Experience a different mountain each day with a savings of up to € 37,00 per person. Just ask at the reception for the discounted mountain railway tickets.